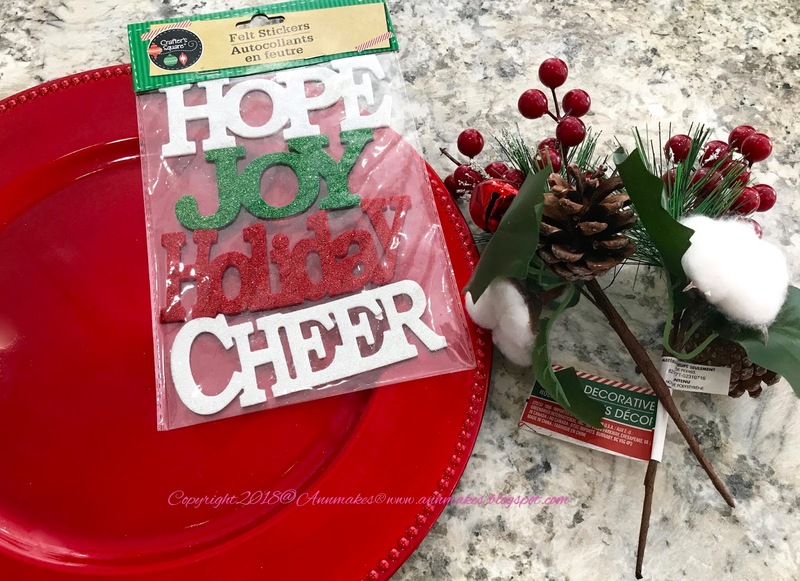 See how easy and inexpensive it is to make Christmas Decorations with supplies bought at Dollar Tree!and other dollar stores! 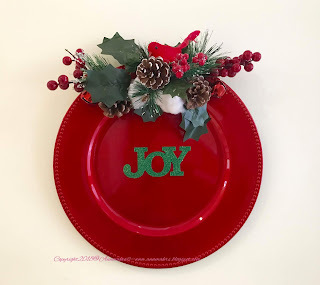 View the second in the series: Christmas Crafting at Dollar Tree. Check out the wall decoration that was made with a charger plate from the Dollar Tree! Purchase one like this in store or online here at Dollar Tree .com! ** note I was compensated for this post. This post also contains affiliate links and I will be compensated if you make a purchase after clicking on my links. All the supplies used in the making of this project come from Dollar Tree! Well, with the exception of the glue gun which is from Ad Tech! 1. Glue floral stems to top of charger plate. ***Please use caution when using hot glue. Wear protective finger caps if possible. Also, keep a bowl of cool water nearby just in case you need to dip your fingers. It will feel better than the hot glue! Thank you so very much for checking out this blog post and the video. Please, leave comments in the section below. Have fun crafting!